Need help getting rid of your old living room furnishings? 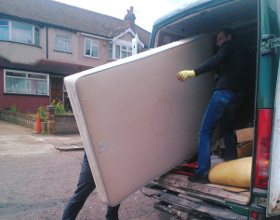 Better Cleaning Company is a recognized local expert rubbish removal Haringey N company and can actually assist you. Our waste collectors can provide home and office waste disposal service at an affordable price all year long. Handling building waste is a true trouble if you are not set up with the right instruments, transport and if you have to do it alone. No worries - we are here to provide you professional building waste removal Haringey N according to the laws and regulations. Our service is especially useful for renovation debris removal and bulky waste clearance. Our team will do all the heavy loading & lifting of the builders waste. We will help save some time, energy and financial resources for leasing a van and so on. If you want help with the cleaning out, loading and disposal of rubbish and other unwanted items, book our effective rubbish removal service right now! We are skilled in supplying hassle free and fast garden waste collection Haringey N. We will collect all hedge, grass, tree trimmings, hay, leaves, unwanted plants and weeds, wood and other garden waste and will load and dispose of it at a fair price. Our waste management team can deal with green waste removal, brown waste removal as well as recycling & dumping. Rubbish collection service Haringey is a complex service that we promise to execute quickly and easily. Once the service is organized for you, expect to have visitation by our expert and trained technicians. They will come to your house for examine in advance and make you an offer for a specific date for the procedure and the finalized price. Please, be aware that the rubbish removal services we provide are not hour-based or with fixed prices. We specify these details after the initial check. Once the customer and the rubbish removal team agrees on them, we arrange the treatment. Rubbish Collection In Haringey N. Quick Bookings! Take advantage of the many years of experience that Better Cleaning Company had offering rubbish removal Haringey N services. We are the most trustworthy rubbish waste carrier in the region. Our skilled 2 men groups will turn up on time and start loading right away if you are satisfied with the price given. We have inexpensive rates and ensure quick arrival if you require same day service.Call now and 020 3746 3201 we will also recycle for you, so leave the rubbish collection to us and book our service right away!